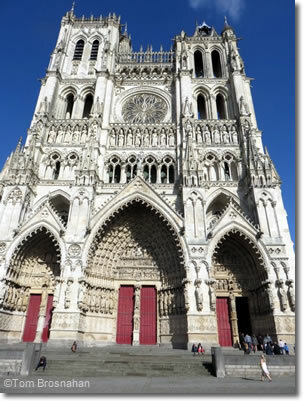 Amiens, capital of the Somme département 150 km (93 miles) north of Paris (map), is a small city (pop. 136,000) that boasts the largest cathedral in France, and the largest Christmas market in the north of the country. Surrounded by lush fields and the "floating gardens" (hortillonnages) watered by the great River Somme, it's difficult to imagine that a century ago it was the site of the final great battle of World War I, and was extensively damaged during World War II. 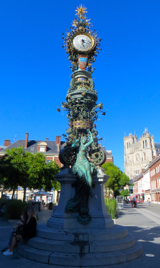 Even so, the city has its medieval and imperial monuments and its quaint historic districts such as Saint-Leu, as well as a wealth of Art Deco and Modernist architecture, the result of rebuilding after the wars.